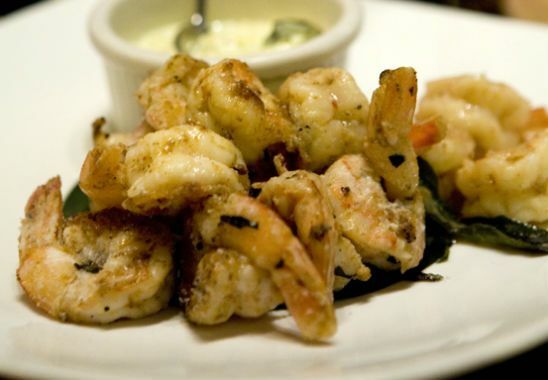 A delicious and tasty appetizer made with fried prawns sauteed in garlic and curry leaves. 1. Add all the batter ingredients in a bowl. 2. Sprinkle a little water and mix well. 4. Dip the prawns in the batter and roll them gently in the cornflakes. 5. Add this to the hot oil and fry for a minute or two. 6. In a separate pan, heat 1 tsp of oil and butter. 7. Add the garlic, curry leaves and fry for 45 seconds. 8. Sprinkle a little water and add the chilli paste, salt, sugar, pepper powder and soy sauce. 9. When it starts to simmer and thicken, add the prawns. 10. Stir well and remove. 11. Transfer to a serving bowl. 12. Fry some curry leaves in little oil and pour over the prawns. Feel free to comment or share your thoughts on this Curry Leaves Prawn Recipe from Awesome Cuisine.